Sometimes, you hear something so ethereal you think to yourself, "Is that a chorus of baby angels singing?" But then you realize, no, that can't be — baby angels just don't go around singing fantastic cover songs on a whim. Instead, it's usually just when Lea Michele and Jonathan Groff partake in an otherworldly type of duet with their impossibly wonderful voices. And no surprise, they've gone and done it again. 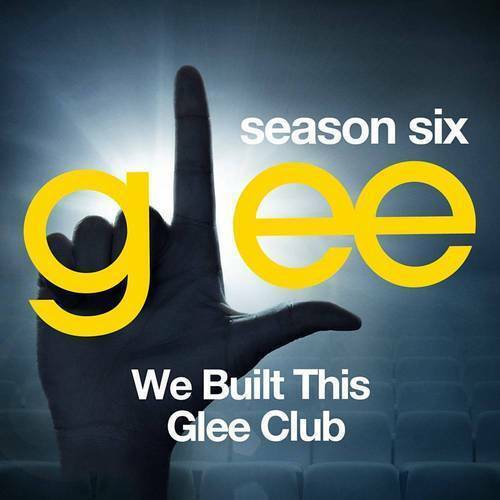 Glee has almost reached its end, so I suppose they attempted to "wow" us with Jonathan Groff and Lea Michele's "Listen to Your Heart" cover for Glee. And you know what, guys? You did. I'm "wowed." This, of course, as I'm sure you know by now, means that Groff's character Jesse St. James is back and that means major dramz for Rachel Berry. But, what better way to sort out the tumult than in typical Glee duet fashion? Because as we've come to know, duets solve everything. And, regardless of how unexpected this 11th hour addition of Groff is to Season 6 or how you may feel about Jesse St. James, this cover will sort of make you wish he stuck around the whole time. "Listen to Your Heart," is hardly the first or the last time we'll hear these two friends mesh their voices together for a duet. If you've been a fan of either Groff or Michele, you know that their duets (and palpable chemistry) go way back and they are always pretty much the best. So, check out "Listen to Your Heart" below. Once you've done that, we can get to the older (but still good) stuff. It's hard to do anything better than Adele, but they really may have just done it. Listen as they turn early '80's cheese into pure gold. "Hello Twelve, Hell Thirteen, Hello Love"
"The Word of Your Body"
The sort of sad song you wanna cry to and die to but never stop listening to. This cover is a total eclipse of my life, to be honest.